This morning, Anchor Bay Entertainment announced details about the upcoming release of the post-apocalyptic thriller by Korean director Bong Joon Ho. 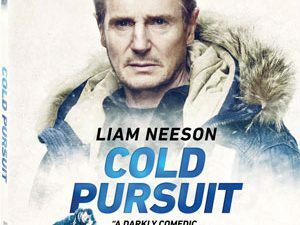 The surprise summer hit, featuring an all-star cast lead by Chris Evans, Song Kang Ho, Tilda Swinton, Jamie Bell, Octavia Spencer, Ewen Bremner, John Hurt, and Ed Harris, will make its way to Blu-Ray Disc and DVD this fall. 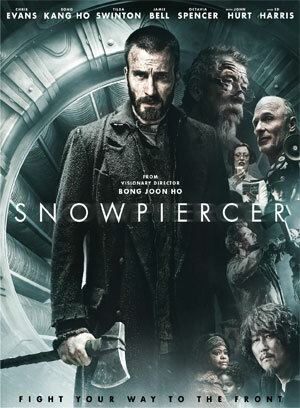 The release will feature a Critics’ Commentary Track hosted by Scott Weinberg, as well as an additional disc jam-packed with special features, comprised of The Birth of Snowpiercer, The Characters, Animated Prologue, Concept Art Galleries, Chris Evans & Tilda Swinton on Snowpiercer, The Train Brought to Life, which gives you a look behind the scenes of a special screening, and Transperceneige, discussing the transformation from blank page to the black screen. The sci-fi epic “Snowpiercer” will be in stores on October 21 for $29.99 on Blu-Ray Disc and $24.98 on DVD.